An Unidentified Mother Hold a Motionless Baby with Pertussis Allegedly Because She Did Not Vaccinate While Pregnant with a Vaccine NOT Tested or Approved for Safety and Associated with Serious Birth Defects and Other Adverse Events. Oh, and Which Affords Precious Little Protection. The Video Appears on the Government Website. Notice Anything Wrong Here? And If Anyone Watching the Video Sees the Baby Take a Breath, Please Let Us Know In the Comments Section. My comments have been removed from the article cited below. The comment to which I replied (see below) have been removed. Scrolling through all 3,200 or so people’s identification who responded to this article, I cannot find my name. I have been expunged from the article, along with my comment. Beware, be very cautious, of what you see on the internet since both government and private censorship is a powerful, but unacknowledged reality. “It is sad to see Mom suffering and hear about the struggles of her little one and, of course, I wish both of them well. Unvaccinated populations have a far less serious version of the condition than vaccinated ones so that the unproven, but much vaunted, theory of herd immunity could actually be said to be working in reverser here. It was for this reason that Sweden terminated its pertussis vaccination program since it was NOT providing protection but was modifying the characteristics of the disease and causing deaths in young children. Second, pertussis vaccinations are unapproved and untested for either safety to the mother or to the child for pregnant women. What we do know is that the widely known outbreak of microcephaly attributed to Zika Virus, patented in 1947 by the Rockefeller Institute, and known around the world since that time is NOT associated with birth defects but that all of the Brazilian women who gave birth to those damaged children had been vaccinated “against” pertussis by their 22nd week of pregnancy by edict of the Brazilian government despite it not being found safe for either mother or child. Third, the vaccine is ineffective against pertussis. The statistics are dreadful: for example, when South Korea made pertussis vaccination mandatory and achievedhttps://www.facebook.com/GCHealth/videos/746551208814291/ a 99.8% coverage rate, the deaths from that disease rose some 1300% – in a fully vaccinated population. Fourth, the vaccine itself is highly toxic, containing, as it does, aluminum, foreign proteins of several sorts and a host of neuro- and organ- toxic materials. Serious complications from the vaccine are not, as presented, rare. They are quite common and, if you consider the metal, excitotoxins, sterilizants, formaldehyde and other components, the logic of injecting these materials directly into the body, bypassing the natural protective barriers of lungs, mucosa and gut is absent while the dangers are obvious. There are effective, non toxic means of treating and preventing infectious diseases. 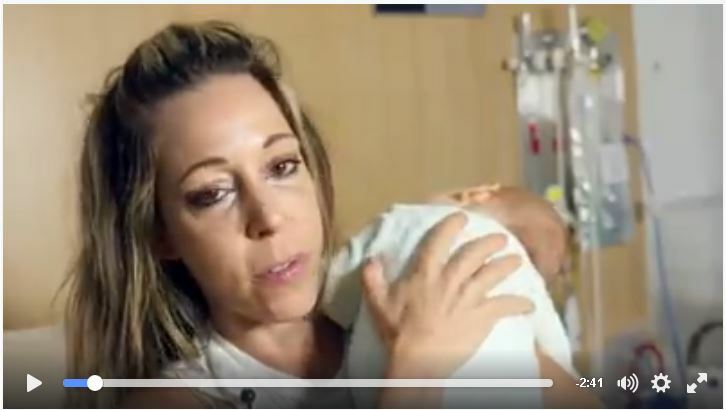 Had the mom in this sad video given her baby a 1/2 teaspoon of Nano Silver 10 ppm and taken a full teaspoon full for herself once or twice a day, the video would not have needed to be made and we would not watch a tired, worried mom hold her tired sick baby because both would be fine. Neither, of course, would be pushing money into the hands of the vaccine makers eager for it or control into the hands of a government even more eager for it. “I am not an untrained internet pug. I am a licensed medical doctor and your facts are simply wrong. Your assertion that people who are concerned about vaccine safety “prefer to see 100 babies die of whooping cough rather than 1 child suffer a vaccine side effect” is a pretty good indication that, however good your intentions might be, your sifting, sorting and separating of fact from public relations/propaganda is woefully inadequate and you are pusing out the party line without examining the reality. Of course, since I do not know you I cannot say if you are, indeed, a person of integrity who, having had the light of independent, not corporate, science in your eyes, will, in fact, take the high, hard road and tell the truth, refusing to inject massively dangerous toxins into people for the sake of your own convenience and comfort. Although it does not specifically deal with pertussis vaccines, the many references and the orienting information there will get you started. Not only that, if you watch the “baby” sleeping on her shoulder, you see something really interesting and unique: during the entire video the “baby” never respires. I would say she need the little oxygen mask for more than the coughing! Shame! It is clearly a sham! I would love to have more information on the outbreak you discussed. And, yes, the Cormit video is an obvious fraud.